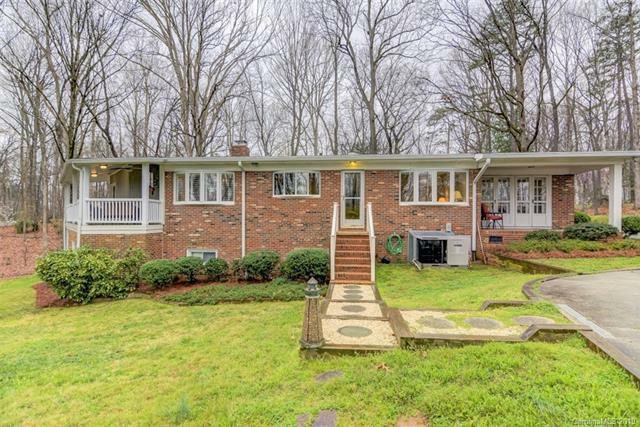 Imagine living on almost 3 wooded acres in the heart of Matthews. Over 600 sf of covered porches & patio capture gorgeous views. 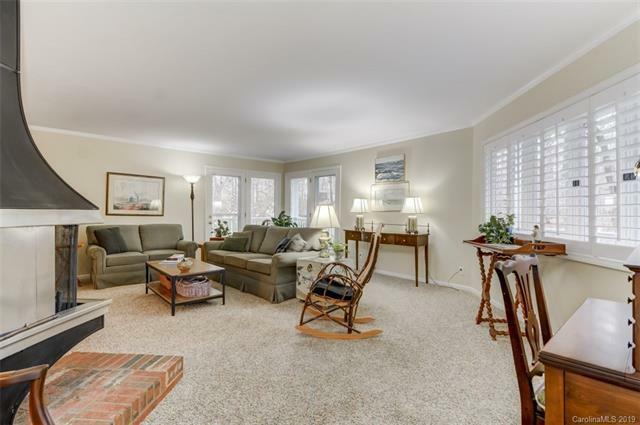 Private wooded drive brings you onto lush grounds with home barely visible from the street. 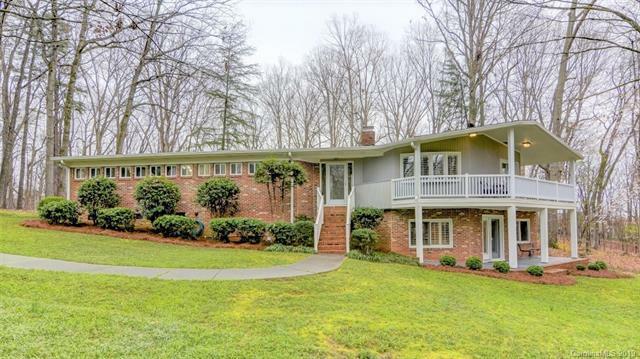 This mid-century home has an open floor plan updated w/large windows & 4 atrium doors entice you to enjoy treetop views or walk outside to private covered porch. Kitchen has an abundance of cherry finish cabinetry & counter space; Bow window over sink, tile backsplash, wood flooring, pull out drawers & lazy susan. Laundry is located just off the kitchen. Master bedroom w/sitting area, 2nd bedroom on main level. French doors in master give access to covered porch. MBath include jetted tub/shower, tile surround, double sink vanity & linen closet. 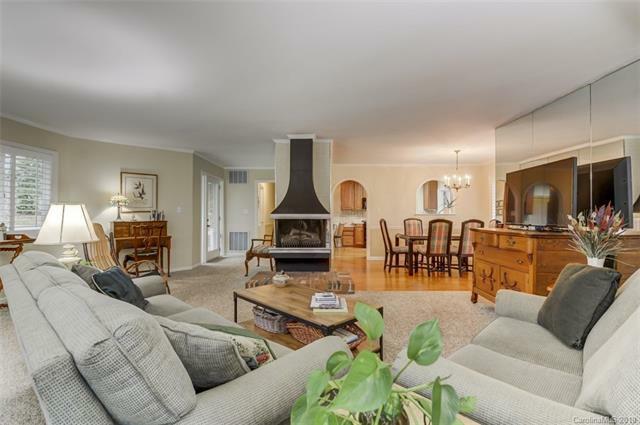 Lower level beholds a masonry fireplace w/built in shelving, large window, & atrium doors lead out to lower covered patio. 2-car carport, & extensive concrete pad for ample parking. It will be a pleasure to show.